N-acetylcysteine -- a form of the amino acid cysteine -- has powerful health benefits. It may even support weight loss. But since studies so far have only used lab rats, more research is needed to prove it can help people drop pounds. N-acetylcysteine may cause side effects and interact with medications, so consult your doctor before taking supplements. N-acetylcysteine, or NAC, is used to make glutathione, which is one of the body's most important antioxidants. Taking NAC supplements increases levels of glutathione, reports American Family Physician. As a prescription medication, NAC effectively treats acetaminophen overdose, preserves lung function in people with chronic obstructive pulmonary disease and prevents liver damage during some types of chemotherapy. NAC is able to cross the blood-brain barrier and get into the brain. Once there, it increases levels of glutathione, which affects the brain chemical glutamine and may help treat psychiatric disorders. One way NAC may support weight loss is through its ability to improve insulin sensitivity, which means it helps the body use insulin more efficiently. In this role, NAC may treat Type 2 diabetes, according to a review in Clinical Biochemistry in April 2015. NAC's potential to affect insulin sensitivity may support weight-loss efforts because proper metabolism of insulin directly affects the body's ability to use fat for energy. As sugar enters the bloodstream, insulin is released to restore blood sugar levels back to normal. If the body doesn't use insulin properly, it stays in the bloodstream. High levels of insulin defeat weight-loss efforts because the hormone tells the body to keep fat in storage. Researchers at the Baylor College of Medicine found that low levels of glutathione weaken the ability to break down fat. They reduced glutathione levels in young healthy mice and discovered that the mice burned less fat. When they gave glutathione to old mice who were deficient in the antioxidant, the animals were able to burn more fat and lose weight. Since this study used lab mice, experts won't know whether glutathione has the same effect in people until more research is done. But if it does, NAC may boost the breakdown of fat by increasing levels of glutathione. Avoid NAC supplements if you take nitroglycerin or antidepressant medications, advises Memorial Sloan Kettering Cancer Center. NAC may interact with medications, causing seriously low blood pressure and headaches. As long as you don't exceed the dose recommendations on the label, NAC supplements are generally safe, but they have the potential to cause gastrointestinal side effects such as an upset stomach, diarrhea, nausea and vomiting. Some people may feel fatigued, develop a skin rash or end up with irritated eyes. In large doses, which should never be consumed without a doctor's supervision, NAC may cause a headache or affect blood pressure. It can also induce an asthma attack and cause anaphylactic shock, which is a life-threatening reaction. 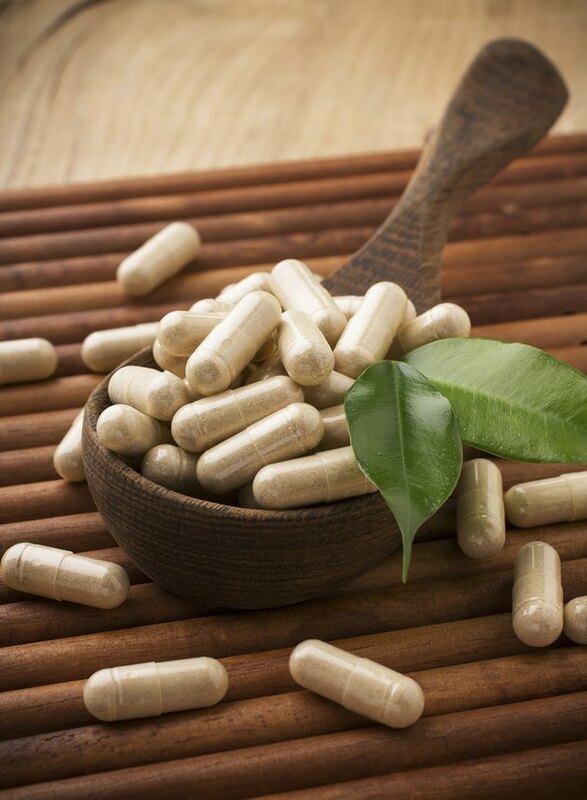 Will Coenzyme Q10 Elevate Liver Enzymes?